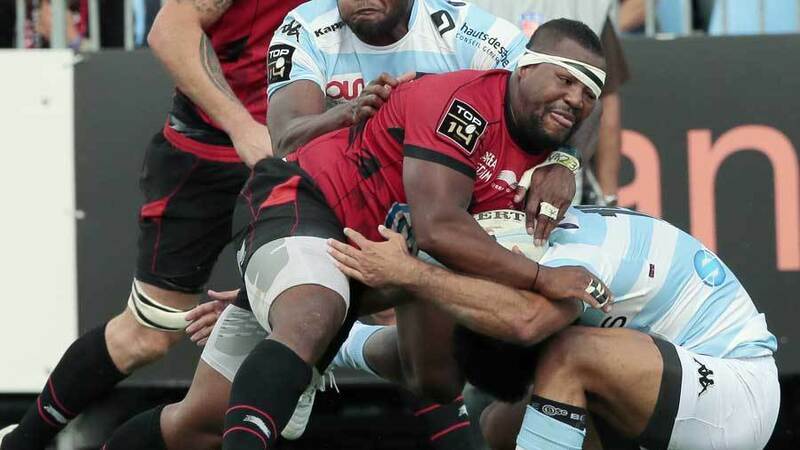 South Africa flanker Juan Smith has warned England they will be making a "big mistake" if they overlook Steffon Armitage. Smith, who plays alongside Armitage in Toulon's back-row, believes England should relax their policy of not picking overseas-based players. Stuart Lancaster paid Armitage a visit this week to tell him the door was not nailed shut on an England recall but he is currently down the pecking order and would likely need his rivals for the No.7 shirt to succumb to injury for him to force his way back into the set-up. For Smith, however, he believes Armitage must be in England's World Cup squad. "He's one of the most special guys I've ever played with," Smith said. "I would be surprised if England don't pick him for the World Cup next year. "I think they must relax on that not picking overseas guys, if you look at Steffon Armitage he is one of the best openside flankers in the world at the moment. So not to take that guy to the World Cup, that would be a big mistake." He added: "He's a short, bulky guy, and if he's on the ball you don't get him cleaned off that ball. And his all-round play, he can run, he can step, he can tackle, he can steal the ball, so I think he's arguably the worst nightmare for any team that play against Toulon. "I must say they must realise it's a professional sport and it's good money for any player to come and play in France, especially when you look at the taxes for international players. If you look back at South Africa, [coach] Heyneke Meyer said he would pick the best player today."